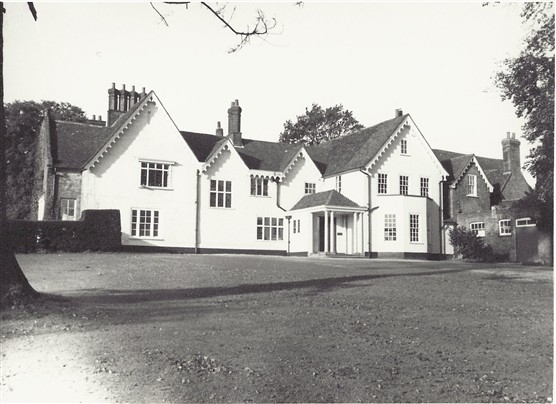 The Old Parsonage or Rectory in Old Rectory Drive was sold to Hertfordshire County Council in 1947 and became Howe Dell Secondary School in 1949, the name being taken from the nearby woods now called Stream Woods. In 1948 Michael Duane was appointed the Headmaster of the new Howe Dell School. 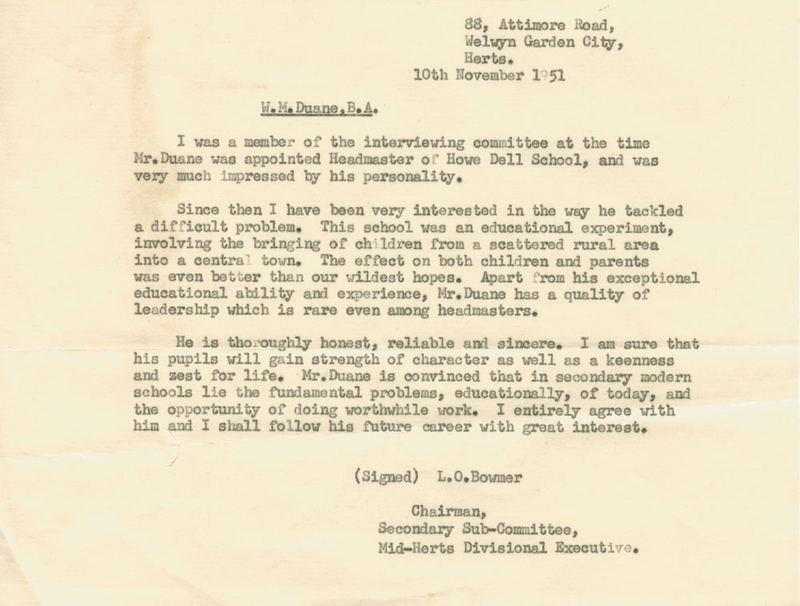 He was offered the post by a Chairman of the governors who had progressive views and John Newsom, Hertfordshire County Education Officer, who gave Duane five years ‘with no questions asked’ to established the school. 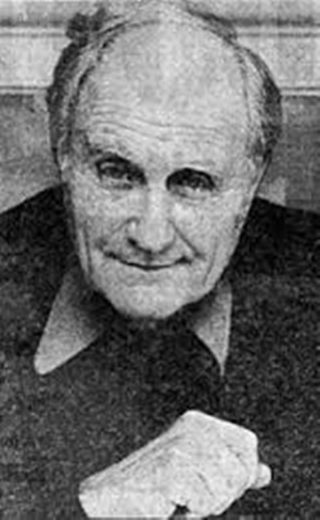 Until Howe Dell was ready, he was first temporarily appointed head of Beaumont Secondary Modern School in St. Albans for one term. The school received several small visits from the HMI and a full inspection in 1950, which disapproved of Duane’s policies. The school governors demanded Duane reintroduce caning and traditional schooling methods, but he refused. 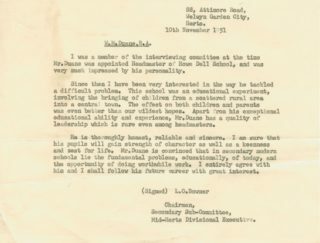 The Governors gave a vote of no confidence in Duane abilities, giving poor inspections and Duane’s election to public offices while employed at the School as the reasons for his dismissal. The case was sent to the Disciplinary Sub-Committee of the Education Committee in 1951. They did not sanction his dismissal, but Duane resigned on the advice of John Newsom. The school closed in 1954 but was reopened as Howe Dell primary school a year later. In 2007 the Howe Dell Primary School moved from the rectory building to new premises.